Is Obama Making the Same Mistakes as Bush in Iraq? 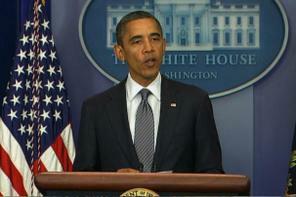 President Obama announces that all U.S. troops will be withdrawn from Iraq by the end of 2011. Foreign policy scholars tell us that leaders and publics frequently use historical cases to inform current judgments. This is called analogical reasoning, and it involves drawing lessons from past cases about what is going to happen, or how we should respond, in a current situation. Unfortunately, research has shown that policymakers are frequently sloppy, imprecise, or self-serving in the lessons they draw from historical cases. Richard Neustadt and Ernest May, in their book Thinking in Time, and Yuen Foong Khong in his book Analogies at War, point out that leaders often misuse history and even draw different lessons from the same historical case. (American conservatives generally drew the lesson from Vietnam that political leaders shouldn’t micromanage wars and should always fight to win, whereas many liberals/progressives learned that military force is not an effective instrument for dealing with fundamentally political conflicts). An oft-cited problem is that leaders seize on superficial similarities in cases and ignore the differences, leading them to make poor judgments. For example, the lesson of Munich that one should never appease tyrants was often cited by U.S. leaders during the Cold War without considering how the present tyrant might differ from Adolf Hitler in his intentions or capabilities. The same might be said for the argument that “Iraq is another Vietnam” due to surface-level similarities, such as the presence of an insurgency. 1) Just as the Bush administration launched the invasion without making sure that they had enough troops to deal with the next stage of the operation (the occupation and reconstruction), Obama is withdrawing without thinking about the numbers of troops required to protect State Department employees and others tasked with continuing the reconstruction of Iraq beyond 2011. 2) Just as Bush allegedly “took his eye of the ball” by invading Iraq instead of focusing on defeating Al Qaeda in Afghanistan, Obama is letting his desire to end the war distract his attention from the need to keep the pressure on Al Qaeda in Iraq (AQI), which may be reinvigorated by a full U.S. withdrawal from the country. 3) Just as Bush may have given a great gift to Iran by dramatically weakening its regional enemy (Iraq), Obama is compounding the error and strengthening the theocratic regime’s ability to achieve regional hegemony by pulling out all U.S. troops. What do you think? Does Feaver’s analogical reasoning represent a careful or sloppy use of history? Is Obama undoing Bush’s mistakes by withdrawing quickly from Iraq, or is he following in Bush’s footsteps and only compounding the errors of his predecessor?